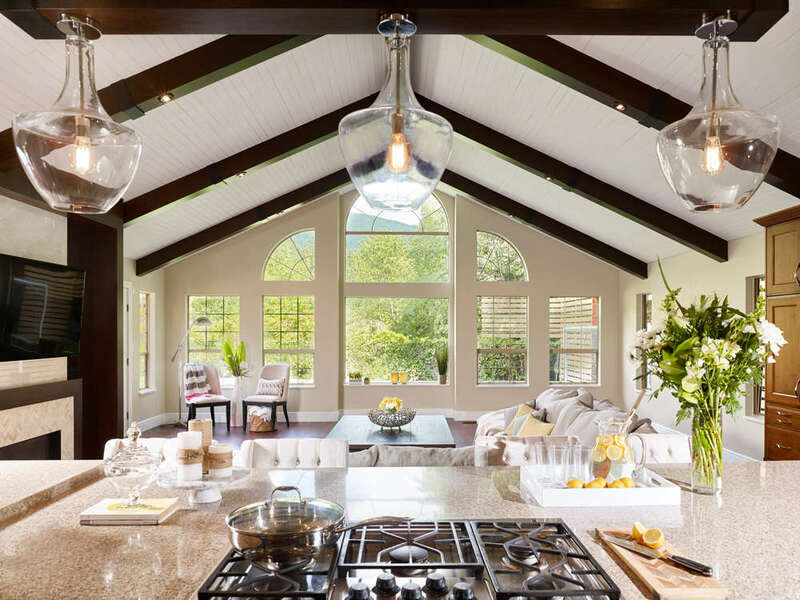 This spacious home needed some serious design love to tie its many rooms together. When we first laid eyes on this 5-bedroom West Vancouver home, the potential was obvious - vaulted ceilings, plenty of space, and a fantastic back yard compete with swimming pool. Our client came to us with a request for both cosmetic and functional upgrades; the interior was dated and tired, and the laundry room needed a complete overhaul to maximize efficiency. This spacious home needed some serious love and attention to tie its many rooms together. The Great Room's existing ceiling was an expanse of thin, yellow-hued wood planks that simply did not do the room justice. 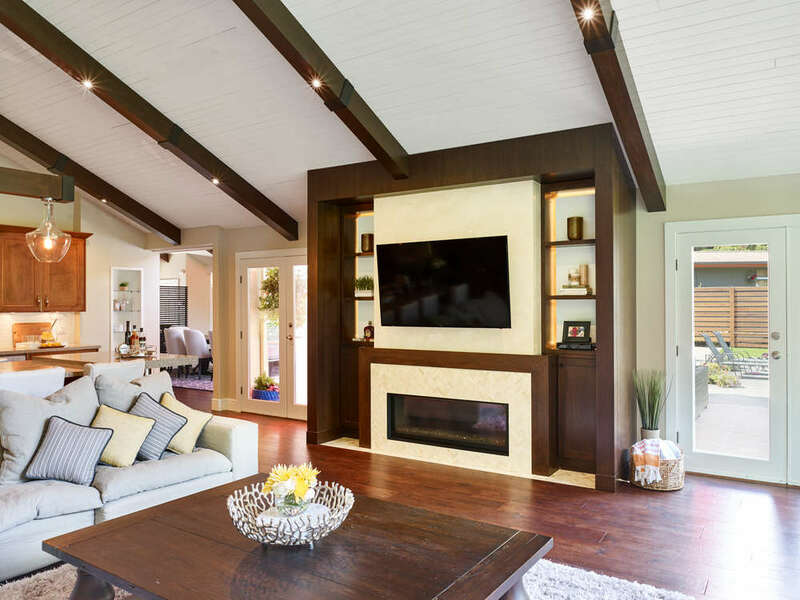 By adding faux wood 'cross beams' we created rhythm and enhanced the interior architecture. Walls and ceiling were refreshed with a soothing off-white color palette. A custom TV and fireplace unit acts as the room's anchor. The Master Bath is elegantly appointed in ivory marble tile and boasts a giant soaker tub for a soothing, spa-like experience. In the Laundry Room, crisp white cabinets and backsplash tile keep things fresh, but this room's key feature is its functionality.